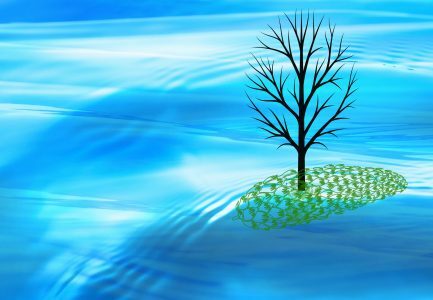 I haven’t had much time or opportunity to blog since the first of the year, so I’m going to jump into this third week full steam ahead with Cee’s ‘Share Your World’ post. Hop over to her blog and get the details if you’d like to take part in the fun. It’s a great way to get to know some of the other wonderful people in the WordPress family. 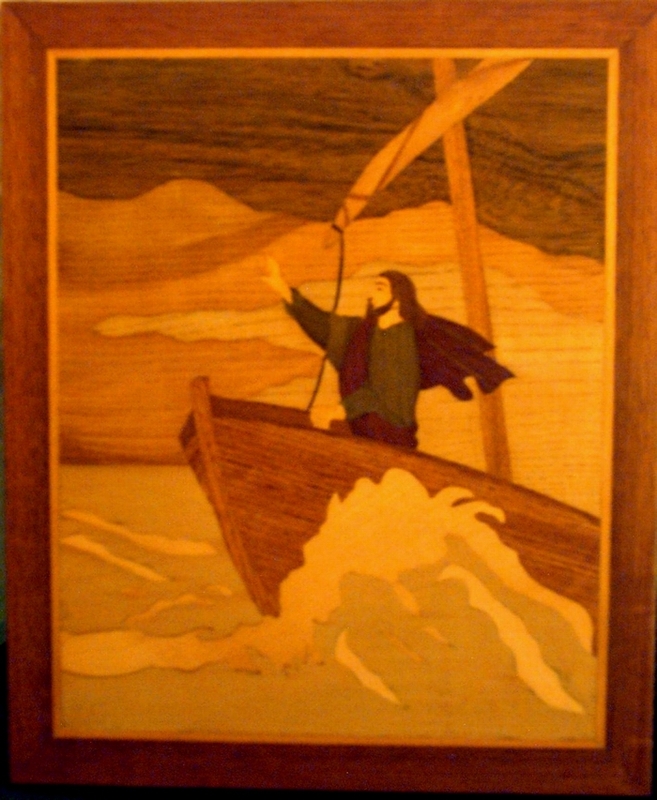 My favorite piece of art is a marquetry picture my father created for me showing Jesus Christ standing at the front of a boat in the midst of the storm, stilling the storm. 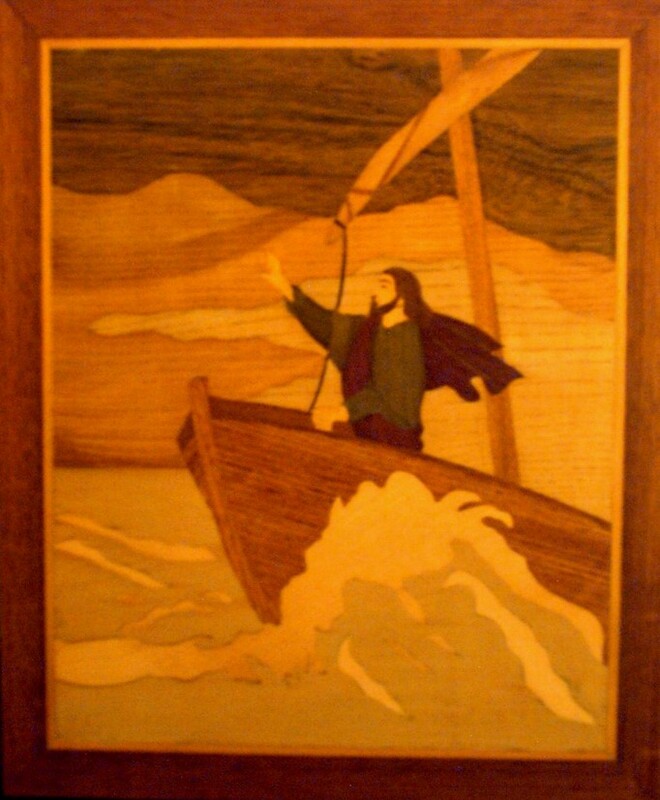 Dad used so many different kinds of wood in the piece, and if you’re familiar with marquetry, you know that none of the wood is painted. It is left in its original shading, and it’s the different colors of the wood itself that gives the picture its color. He made it some 30 plus years ago, and it still hangs in my living room for everyone to see. It has faded a little over the years, but I’d rather have it the way it is than to hide it away to keep it from fading and not share it with others who can be encouraged by it. Question # 2: What made you smile today? 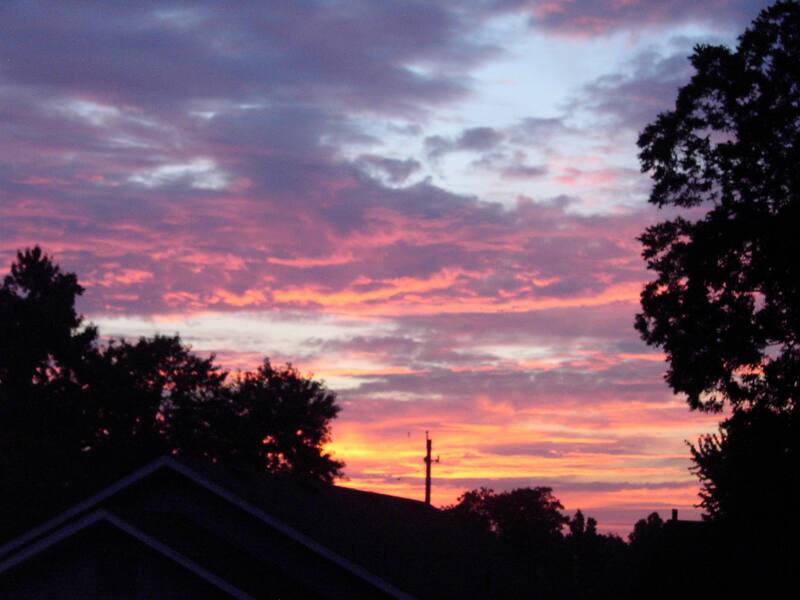 When I looked out my door at about 5:30 this evening, and saw the clouds with the red sunset reflecting off of them, I immediately smiled and told the Lord He had done a good job again. I didn’t get a picture of those clouds, but I’ll include a picture that I took previously of some other clouds in a similar state. Question # 3: Which place do you recommend as a “must see”? 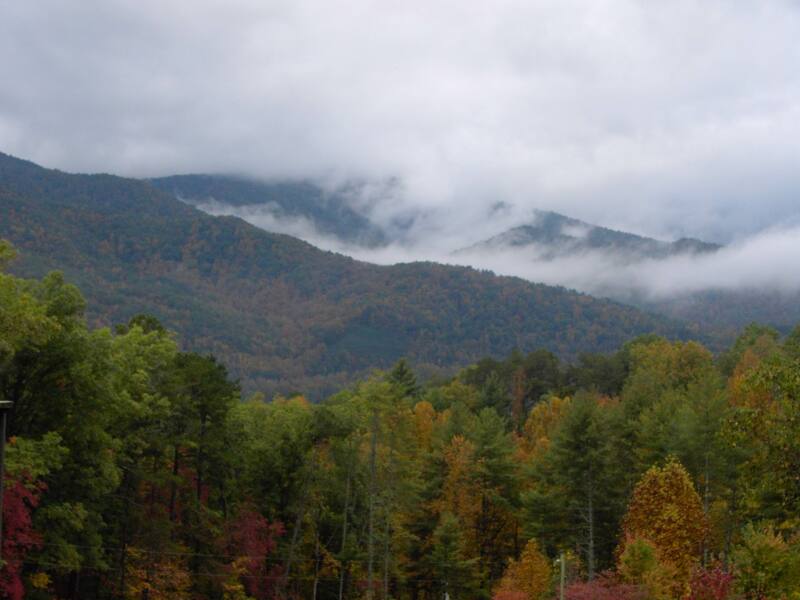 Definitely the Smoky Mountains. You can see this beautiful section of the Appalachian mountains from a number of different states in the southeaster U. S. And even a dozen pictures could never do them justice or show you their complete beauty, because every view from every direction at every elevation on every different day is unique. 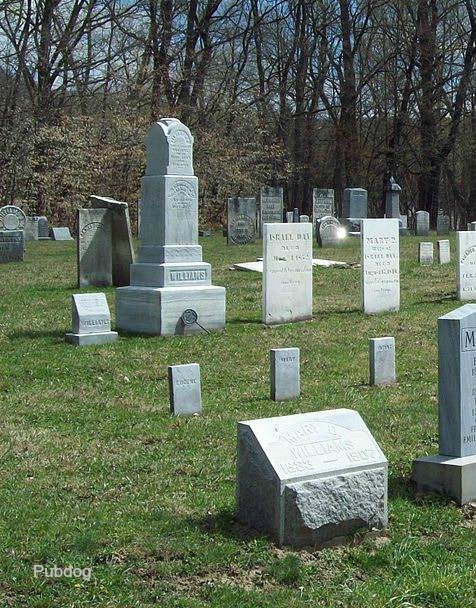 When I was young — really, really young — I used to think kindergarten was a cemetery. When I was 5 and 6 years old, I was thrilled with the idea of education. I read a lot and I wrote a lot. In fact, I asked my mom and dad to show me cursive letters and taught myself to write in cursive before I started first grade. But back then kindergarten was a new concept. It was just becoming popular with many school systems, and in our area, people began to talk about it because it was coming to our school. It didn’t get added to our town’s educational system before I started school, though, so I went straight into the first grade. But I was fascinated by the concept of ‘little’ kids being taught before they got to first grade, and as I listened to people talk, I’d wonder just how it worked. I finally decided that I knew what it was all about. I had been to a very few cemeteries by that time, and I knew what a garden was. So I decided that kindergarten (note the similarity to the word “garden”) was a big place outside with all these stones spaced evenly around the grounds, and the teacher sat on a big stone to teach, while all the kids sat on smaller stones learning their lessons. I pictured this type of scene many times as I contemplated this new phase of education, and I probably would have continued in my fantasy for a couple more years if it hadn’t been for having a younger sister. Kindergarten finally arrived in our town, and as my little sister prepared to take her place as one of the privileged 5-year-olds who got to enroll in this advanced educational experience, I mentioned to my parents that I understood what kindergarten was. Well, you can imagine my surprise when they cleared things up. But I was also more than a little disappointed — because I had been pretty proud of myself to think I had figured out what this brand new educational program was all about. Occasionally now, when visiting a cemetery, I’ll think about those years, when I was so young — and so smart — and so hilariously wrong. Bonus Question: What are you grateful for from last week, and what are you looking forward to this week? I’m very grateful for my wonderful 6′ 7″ friend, Kent. I have two round fluorescent lights on my kitchen ceiling, which is very, very high. They don’t usually go out at the same time, but this week, they did. I had to get them replaced immediately or have a dark kitchen. My step stool won’t get me high enough, and I used to climb up on my kitchen table and do the job, but my table has a shaky leg right now, and I didn’t have time to wait for it to be repaired. So I called up my friend and asked him if he would come once to take the bulbs down (because I didn’t remember what size they were and had to take them with me to get the right size) and then come back again once I had the new ones. He readily agreed and managed to come both times in one day to put up my new lights. Now my kitchen and I are bathed in glorious light once more. Even if my friend were not 6′ 7, he would be very tall in my eyes anyway. This coming week, I am looking forward to getting my book Healing Is For You! onto the Amazon Kindle Store. 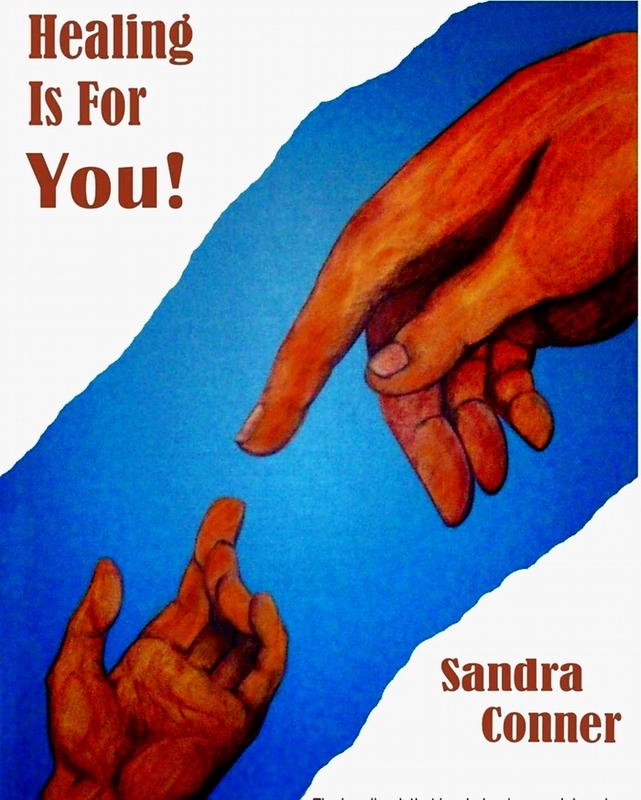 I know there are so many people who need help from the Lord for their health, and I’m hoping that having my book available in e-book format will make it much easier and less expensive for them to get help through what they learn in the book. Next Post Twinkle, Twinkle, Little Star????? I think I would agree with your first answer and the painting, I have a hand drawing of my mother drawn by a close friend of hers. [I never knew him] it is of her in her twenties and it is great. Never let it go. unlike you though Sandra it is hidden away in a protected folder. That is so awesome that you have art by your dad. Wow, your dad’s art is stunning and I love the little you, what a delight you must have been (and still are of course). Gilly, you always say the most encouraging things. Thank you. And yes my dad was very talented in working with wood, as well as being a terrific writer, so I’m very privileged to have several pieces of his woodcarving and loads of his written work. I think I remember you posting about something else he made? When I was in school we learned cursive writing in grade 3. I went to three different schools within a six week period of time and the second school I attended already knew cursive, so I learned it on my own. By the time I went to my last school for that year, they were just barely learning it. 😀 Thanks for sharing.